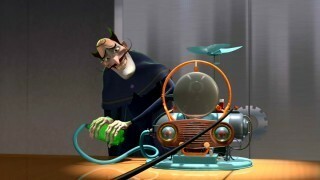 bowler Hat Guy/Goob. . Wallpaper and background images in the Disney Villains club tagged: disney villains bowler hat guy michael goobian meet the robinsons. This Disney Villains photo might contain sebuleni, ameketi chumba, mbele ya chumba, chumba, kukaa chumba, chumba mbele, and parlor.